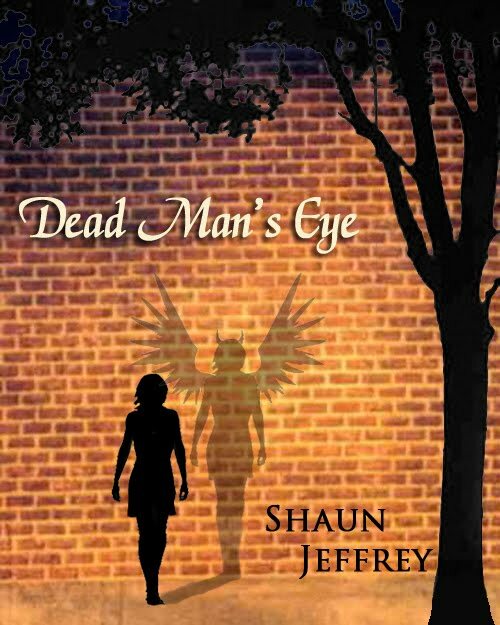 As I didn't like the Dead Man's Eye cover, I've been playing around with some new ones and would like to hear which one people prefer (if any), and more importantly, which one would make you purchase a copy of the book if you saw it. The basis of the story is that after receiving a corneal transplant, a young woman starts seeing strange shadows around people who have been possessed by demons. From my memory of the story, Shaun, I'd go with the second, the lady with cracking skin. Thanks, Mark. That cover is supposed to suggest something hidden beneath the skin. Thanks, Dave. It seems to be the favourite so far. Looks pretty overwhelming, since I definitely have to agree with the others. There's definitely something compelling about it. I agree, too. The lady one is my favorite. Hey, Shaun. I'm in agreement with the others. The woman with the cracking skin is the most compelling. I like the crow with the eye too, but in terms of content, it's a bit more cliched than the other. So yeah, the woman.